Is African Wildlife Headed for Extinction? Dear EarthTalk: What is the population status of Africa’s large mammals, such as elephants, lions, rhinos, and hippos? Are they all headed for extinction? Overall, the variety and abundance of wildlife in Africa, as elsewhere around the world, is shrinking fast as human population grows and encroaches ever more on once wild and pristine landscapes. While illegal hunting (known in Africa as “poaching”) still runs rampant despite government crackdowns, the spread of logging and agriculture contributes even more to the decline of many species of large mammals. The population of the continent’s biggest mammal, the African elephant, has declined by more than 99 percent since the 1930s, when as many as 10 million of the great creatures roamed free there. At last count, biologists estimated that only about 600,000 elephants are left in all of Africa. Elephant populations are thriving in areas of southern Africa, thanks to massive government conservation efforts, including a ban on the ivory trade as part of the 144-nation strong Convention on International Trade in Endangered Species of Wild Fauna and Flora (CITES), which limits trade in wild animals and their parts and accords varying degrees of protection to more than 33,000 species of plants and wildlife. Africa’s hippopotamus population is also suffering, partly because of the very ban on ivory. Bullied out of the ivory trade, many African poachers have turned to hippo teeth, which measure as long as 24 inches and have become a valuable substitute for ivory. A 2003 census of the hippos of Virunga National Park in the African Republic of Congo, for example, found only 1,300 animals, down from an estimated 29,000 in a previous count three decades earlier. In neighboring Burundi, another recent census found that two thirds of that country’s hippo population—some 200 animals—had disappeared in just a five-year period. As for rhinos, only 10,000 individuals exist around the world, down 85 percent since just 1970. Poaching has been the main culprit in the decimation of these animals, with a single pair of black rhino horns—coveted by Arabs in oil-rich Yemen who collect them as symbols of wealth and status—fetching as much as $50,000 on the black market. Of the two rhino species in Africa, the white rhino is faring slightly better and has rebounded from near extinction but isn’t quite in the clear yet. The black rhino, down to only about 2,500 animals, is still considered critically endangered, however. Where it once roamed across the entire African continent, the black rhino is barely hanging on in just a few East African countries. Lions may be faring a little better, but not much. The nonprofit African Wildlife Foundation reports that the continent’s lion population has fallen off by half since the early 1950s when an estimated 40,000 “kings of the jungle” ruled. Besides contending with habitat loss to ever expanding human settlement, Africa’s lions have also had to deal with hunting and poisoning by livestock ranchers. Although limited conservation efforts within Africa and internationally are helping some of these species remain barely viable, fighting extinction is an uphill battle, especially when expanding human population and sputtering economies force people to occupy previously wild lands and generate income by any means necessary. Individuals can help by donating money and time to organizations committed to saving these magnificent animals. With the extinction clock ticking fast, there’s no time to waste. The African lions' numbers are diminishing rapidly due to habitat destruction, persecution by livestock farmers outside of protected areas, and human greed. Trophy hunting not only depletes the population of the African lion, but threatens its gene pool as well. Killing the dominant male of a pride (normally the target of a trophy hunt) sets off a chain of instinctive behaviour in which the subsequent dominant male kills all the young of the previous male (6-8 estimated deaths result from each male thst is shot). In the late 20th century, wildlife preserves were created to restrict safari hunting, but the African lion population continues to decline. Their numbers have declined from 100,000 in the 1980s, halving to 50,000 in 1990, to as few as 16,000 today. An ever-expanding human population has led to competition between herders and lions for land and food. Lions living at the edge of the preserves sometimes stray from protected areas in search of easy prey. The Maasai and other ranchers will often kill them to protect their livestock and source of livelihood. The retaliatory killing of lions by pastoralists is a serious threat to lion conservation in Maasai Steppe. Over the past six years, pastoralist families have lost more than 500 herds of livestock including cattle, goat, sheep and donkeys due to predation by lions, while more than 226 lions have been killed in retaliation for livestock predation. While humans have been poaching African elephants for their tusks for centuries, the continent is currently in the midst of an elephant slaughter that is worse than at any previous point in history. Experts say that poachers are wiping out tens of thousands of elephants a year which could lead to their extinction in the near future. A ban on the international sale of ivory went into force in 1990, but rising demand from Asia, and increasingly insecure political environments in Africa, have ratcheted up the number of elephants under threat. 1500s - Estimates put the number of elephants on the African continent around 26 million when Europeans first started exploring. 1950s – Elephant slaughter begins to drastically increase with estimates that 250 elephants are killed every day. The increase correlates with many African regions gaining independence from colonial rule. 1973 - The Convention on International Trade in Endangered Species of Wild Fauna and Flora (CITES) is agreed to on March 3, 1973. 1973 - The Endangered Species Act is signed into law on December 28, 1973, becoming immediately effective. 1979 – Elephant population is reported at 1.3 million according to the results of the first Pan-Africa elephant survey led by Dr. Iain Douglas-Hamilton. 1989 - CITES agrees to list the African elephant on Appendix I, as a result a ban on the international sale of ivory goes into effect in early 1990. 1989 - Only 600,000 elephants remain. The African Elephant Conservation Act is passed, banning the import of African elephant ivory into the U.S.
1990s - Some elephant populations begin to show signs of recovery, especially in East Africa and in some southern African countries. Kenya’s population grows to more 30,000 by 2007 from an historic low of 16,000. 1997 - Botswana, Namibia and Zimbabwe submit proposals downlist their populations to Appendix II and to sell their ivory stockpiles. CITES approves the sales based on the positive status of these countries’ national herds. The first “one-off sale” occurs in 1999 to a single CITES-approved buyer, Japan. 2002 - South Africa submits a proposal to downlist their populations to Appendix II. South Africa plus Botswana, Namibia and Zimbabwe seek another “one-off sale”. This second one-off sale occurs in 2008 to two CITES-approved buyers, Japan and China. Conservationists fear that opening up a legal ivory market in China will lead to increased poaching. 2007 - The African Elephant Coalition (AEC) countries are successful in passing a CITES-instituted a 9-year moratorium on new ivory stockpile sale proposals. 2009-2013 - Empirical research, MIKE PIKE levels and ETIS ivory seizures demonstrate poaching of elephants for their tusks and trafficking of ivory is occurring at alarming levels, surpassing a level at which elephant populations can naturally reproduce -- populations across the continent go into net decline. 2011 - Numbers of poached elephants and large-scale ivory seizures are so high that it is labeled annus horibilis for the species. 2012 - Sudanese Janjaweed poachers travel across the Sahara desert to massacre several hundreds of elephants in the span of a few days in Bouba Ndjida National Park, Cameroon -- the scale of the killing is labeled as unprecendented. 2012 - Secretary of State Hillary Clinton makes a Call to Action to world leaders to stop the epic slaughter of Africa’s elephants. 2013 - U.S. President Barack Obama passes Executive Order combating Wildlife Trafficking to attack the issue through a whole government approach. 2014 - Paul Allen and Elephants Without Borders launch The Great Elephant Census, the first-ever pan-African aerial census that will provide new, accurate data about the number and distribution of African elephants, information that will be critical to their future survival. 2015 - Great Elephant Census flights over 50% complete, some preliminary individual country data suggests dramatic drops in populations in some regions, and a few surprise herds in places where elephants did not previously exist. 2016 - Great Elephant Census results are announced, elephant populations have dropped 30% in surveyed areas with comparable data. 2016 - CITES passes resolution calling for all countries to close domestic ivory markets and votes down proposals by Namibia and Zimbabwe to open legal ivory trade from their countries. CITES rejects proposal for elephants in Botswana, Namibia, South Africa and Zimbabwe to be uplisted to Appendix I. "Look into how big game hunting actually works, they are helping to protect the population of these endangered species by providing the locals with an economic incentive. Would you rather they continued to poach these animals?" In just a decade, more than 7,137 African rhinos have been lost to poaching.Will a recent decline in South African poaching mark a new dawn for rhinos? In February 2017, the Department for Environmental Affairs released poaching statistics for 2016, showing a 10.3% decline in rhino poaching as compared with the previous year. There’s no reason to celebrate: 1,054 rhinos killed in South Africa alone during 2016 works out nearly three rhinos being killed every day. And while poaching is down in Kruger National Park, it is significantly up in other provinces, particularly KwaZulu-Natal. Furthermore, there are continuing and worrying signs that poaching gangs are increasingly moving beyond South Africa’s borders; gaining a foothold in other African countries – many of which have less resources available to protect wildlife. We’re certainly not out of the woods yet. South Africa has by far the largest population of rhinos in the world and is an incredibly important country for rhino conservation. From 2007-2014 the country experienced an exponential rise in rhino poaching – a growth of over 9,000%. Most illegal activity occurs in Kruger National Park, a 19,485 km2 of protected habitat on South Africa’s north-eastern border with Mozambique. Kruger consistently suffered heavy poaching loses, and so in the last few years the government and international donors have channelled ever more funding and resources into securing the Park. In 2016, figures show a dip in poaching in South Africa for the second year in a row, indicating that increased protection efforts are paying off. Although it is encouraging to see South Africa’s poaching levels fall, the losses are still extremely high. A rise in incidents outside Kruger National Park also points to the growing sophistication of poaching gangs that are gaining a wider geographical coverage and – it would seem - expanding their operations across borders. The current poaching crisis actually began in Zimbabwe, where the difficult socio-economic and political climate facilitated rhino poaching. Once the easy pickings had been had in Zimbabwe, poaching gangs turned their attention to neighbouring South Africa, which saw massive increases in poaching from 2009-2014. In around 2013, the South African crisis spread to other countries in Africa. First Kenya was hit hard – its worst year for poaching was in 2013, when 59 animals were killed (more than 5% of the national population). In 2015 both Zimbabwe and Namibia were hit hard: Namibia lost 80 rhinos to poaching, up from 25 in 2014 and just two in 2012; while in Zimbabwe at least 50 rhinos were poached in 2015, more than double the previous year. For Africa as a whole, the total number of rhinos poached during 2015 was the highest in two decades. Sneck is full of it if he believes a set up hunt, like the one mentioned in the other thread, is saving wildlife. I am all for Botswana,s shoot to kill law on poachers. All the states who want to keep their wild herds, and hence their tourist dollars, should take the same approach. And I read recently some parks are even removing their Rhino,s horns, and Elephant,s tusks under anathestic, to make them of no value to poachers. Monkeys are very intelligent, give them guns and teach them to shoot. Poachers would have no chance with a tree full of armed any monkeys. Seems this famous game hunter wasnt so clever after all. The elephant lifted him and then fell on him when shot by another of his group. And his mate, another hunter, got taken by a croc a few weeks ago. There is karma after all. What do these sickos get out of walking out with their high powered rifles , getting the game driven in front of them, and then shooting it and posing for photos with a dead animal ?? And its called sport ?? A well-known South African game hunter died after an elephant ravaged by gunshots collapsed on him at a Zimbabwe animal reserve on Friday, according to local authorities. 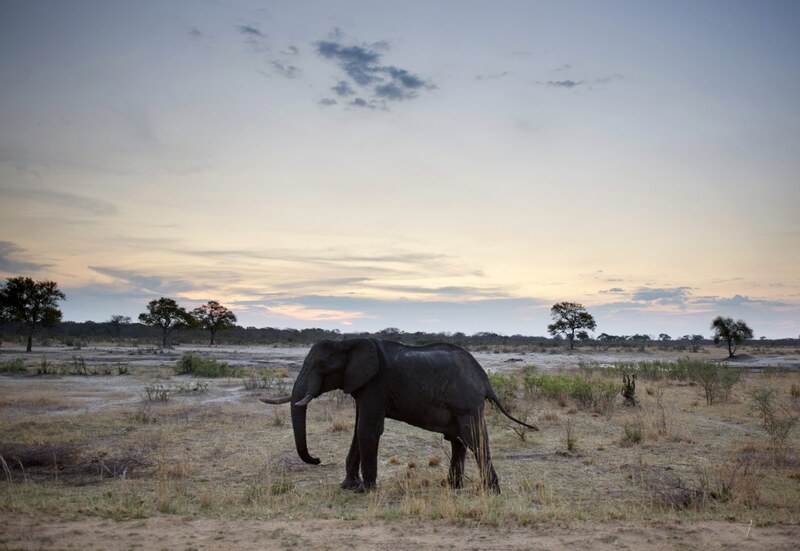 While on a 10-day hunting expedition with several clients, 51-year-old big game hunter Theunis Botha "unknowingly" came across a herd of breeding elephants near the Hwange National Park, park spokesman Simukai Nyasha told the Associated Press. Botha's group spooked the herd and three elephant cows immediately charged at them — prompting Botha to open fire on the animals, according to South Africa's News24. 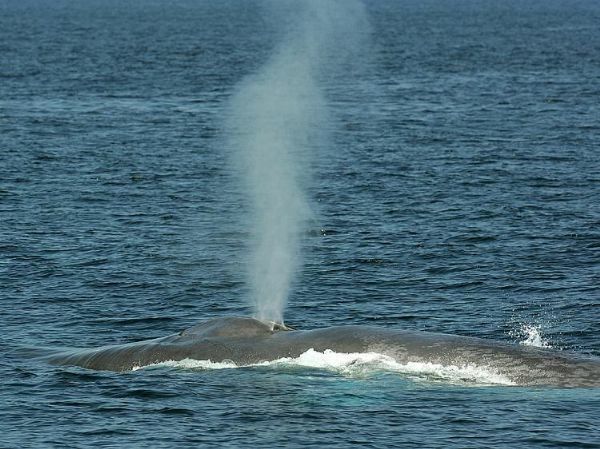 A fourth cow stormed at the group from the side, lifting Botha up with its trunk. One of the members of the group fired shots at the elephant causing the animal to collapse on Botha, crushing him to death. Zimbabwe Parks did not immediately return requests for comment by NBC News. Botha and his wife, Carike, ran Theunis Botha Big Safari's since 1983 with private hunting ranches in South Africa, Mozambique, and Zimbabwe, according to the company's website. Botha touted his perfection of "traditional European Style Driven Monteria hunts in South Africa," which uses "hounds" to round up big game for hunter clients. The company displayed several photos and videos of many of Botha's safari hunts, and billed him as a "passionate and professional hunting outfitter operation" that gave "clients a unique exciting African safari experience." 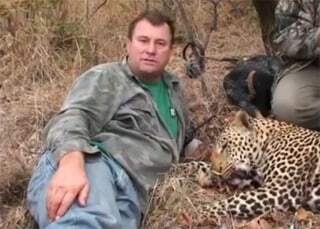 His first client was a Montana man who came to South Africa to hunt a leopard, and Botha prided himself that the man "got his cat," according to the company's website. The company did not return requests for comment by NBC News. Botha's wife is expected to go Zimbabwe on Monday to identify her husband's body and return him to South Africa for funeral services, according to the News24. He is survived by five children. 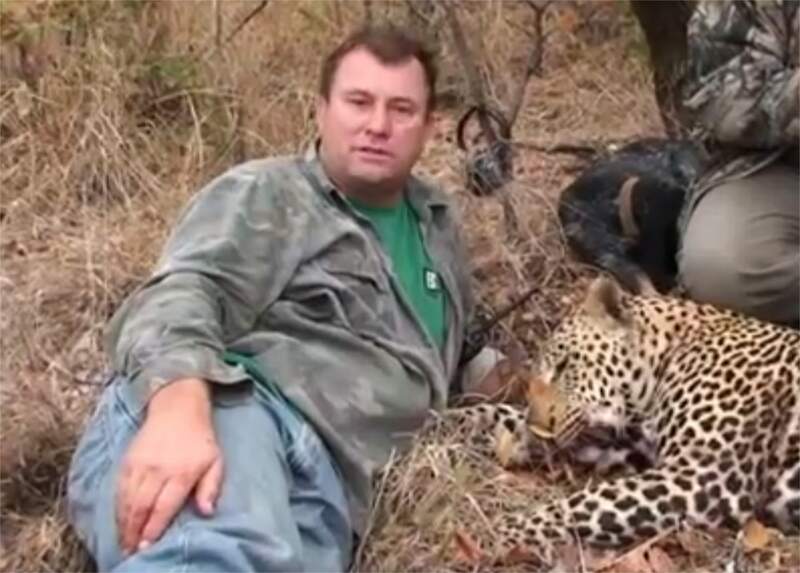 Botha's death garnered a large share of negative comments on social media from many who are opposed to big game hunting. Humanity, in plenty of ways, has had a profoundly negative impact on wildlife. From throwing them into volcanoes to overzealously feeding them when we shouldn’t, it’s not surprising that animals sometimes decide that they’ve had enough, and fight back. Big game hunter Theunis Botha reportedly learned this lesson the hard way. Stalking around the Zimbabwean village of Gwai, his colleagues stumbled across a breeding herd of elephants. Spotting the threat, the elephants then charged at the group, and Botha fired off a shot or two. Ambushing him from the side, one of the elephants charged towards him, and lifted him up in the air with her trunk. Another hunter shot the elephant, hoping that it would drop Botha and flee. The shot proved to be fatal, however – and as the elephant collapsed, Botha fell beneath it and was subsequently crushed to death. Big game hunting is controversial for several obvious reasons. Although some argue that there are some ecological benefits to carefully managed hunting, in reality, most of it involves helping to wipe out extremely vulnerable species, which is undoubtedly a terrible thing to engage in. Sure, poaching is far worse, and habitat destruction does not help, but legal hunting is only exacerbating things further. On a very basic level, the fight is unfair: these rather majestic animals are not expecting humans to sneak up on them, and when they do, they’re armed with long-distance rifles, cars and sometimes a helicopter. There’s nothing dignified about killing a harmless animal for sport, especially when the odds are stacked so heavily against it. This fatality, if anything, shows that wildlife shouldn’t be underestimated. If people decide to try and kill them, they’re going to resist – and sometimes, they’ll score a win, even in death it seems. Botha, from South Africa, was reportedly a well-known hunter in the region, and he often ventured to the US to encourage high-income Americans to join in on the sport. He was often seen hunting with his dogs. His demise isn’t the first hunt-related death this year. One of Botha’s friends, Scott van Zyl, was on the search from some big game trophies in Zimbabwe back in April when he was attacked and eaten alive by crocodiles on the banks of the Limpopo River. Ir could only be sport if the animals had guns and could shoot back. If he was such a clever hunter how come he "stumbled " on a herd of breeding animals by accident ? Natural selection as a means of evolution is generally thought of as a slow process, and it usually is. That is, unless there’s some unnaturally strong influence at work. And that’s exactly what’s happening to African elephants. The unnatural influence is humans, or more specifically, poachers, and it’s causing an increase in the births of tuskless elephants. Those who do have tusks are becoming less likely to reproduce since they’re hunted down and killed for their ivory. Not every elephant has tusks. In a population without significant poaching going on, from 2% to 6% of females are born without tusks. Males without them are less common because they’re required weapons for earning procreation rights, and tuskless males don’t generally get to reproduce. In areas where there is poaching, however, the story’s very different, and the quest for elephant ivory is changing the types of offspring now being produced. In Gorongosa National Park in Mozambique, half of the older females have tusks. The situation has improved since poaching was brought under control there 20 years ago, but a third of the younger elephants are tuskless nonetheless, a meaningful increase over the historical norm. In Zambia’s South Luangwa National Park and the Lupande Game Management Area, tuskelessness increased from 10·5% in 1969 to 38·2% in 1989 The numbers have improved slightly since then there as well, but only due to more tusked females migrating from nearby areas. There’s been big money in China’s black market for ivory, from a peak of $2,100 USD per kilogram in 2014 to $730 per kilogram in February of 2017. There are several factors in the reduction, most notably the easing of demand for luxury goods due to the country’s economic slowdown, the government’s efforts to shut down the ivory business, and changes in Chinese consumers’ attitudes toward ivory and its cost to elephants. But between 2007 and 2014, some 144,000 African elephants were killed, placing the species perilously close to extinction in some areas. Researchers warn that over time, African elephants may evolve into primarily tuskless creatures, as Asian elephant have. So while an elephant without tusks may be safe from poaching, it’s in a precarious position when it comes to survival, especially on its own, and being affiliated with a herd that has enough tusks to take care of the necessary tasks is the only real defense. “Conservationists say an elephant without tusks is a crippled elephant,” says the BBC. I see another hunter bit the dust today. A bloke from Newcastle , NSW , hunting near Franz Joseph in NZ fell down a crevice and died. I grew up with one of the good guys. Julian was the younger brother of my mate Michael. He's now co founder and director of GCF. He and his wife dedicate their lives to the giraffe. Not bad for a boy from Moorabbin. Any donations go to a most worthy cause. More effective than "donating" 50K to kill a lion. A lot of PhD's there doing great work. Just waiting for the right wing goons on TBV to chime in saying academics do not live in the real world and are a waste of time, leave everything to the ordinary man who has "common sense "
Good stuff TB, I've chipped in. I was going to do the same with RR Martin's wolf sanctuary- 20 large and apparently he'd write you in as a character in the next edition. Given what happens to most on Game of Thrones I thought I might stick with the minimum. I didn't realise the dire wolf was actually an extinct animal. For the religious folk here they must have lived around the same time as Noah and the dinosaurs. What 3 or 4 thousand years ago? Were the dinosaurs drowned in the great flood, because there was no room on the Ark for them? Ken Ham assures us they were there. Along with about 5 billion other species. What I don't get is, how did they save all the freshwater fish? Ken should know, but if they were on the Ark and survived, where are they hiding? This almost sounds like a one on one conversation. Sorry if I've interrupted - pls continue... ! Academics never get it right in the "real world". They lack common sense ! I think thats pretty right. I saw a mob of horses shot in a N.P. because the academics , ( Pitt Street greeneis, who had never even visited that particular park/region ) claimed they had evidence that the horses were killing native vegetation of a certain species. So approx 12 horses were shot, their stomaches opened and the contents examined . Just grass. No special species of native vegetation to be found. On further studies by a couple of prominent equine vets ( done out of their own interest ) it was found that particular vegetation would have poisoned the horses if they had eaten it. So much for those academics .